Two people from very different worlds meet at a holiday resort in France, and somehow, sparks fly. British bio-mathematician Danielle (Alicia Vikander) and Scottish spy James (James McAvoy) are the typical strangers of the same tongue meeting in a foreign place and inevitably fall in love because, why not? That said, the opening sequence of CG ocean combined with an amazing score by Fernando Velázquez is one of the most captivating parts of Submergence, which is a pity because the story doesn’t seem to hold. The first third of the film is promising, mainly comprising Danielle and James’ brief courtship, and some flashforwards of the present day. Before getting to the present day and the main reasons why Submergence might not click with most audiences, Vikander and McAvoy nail their characters so well it’s hard not to root for their wretched love. While Danielle and James have very different worldviews – one is concerned about a new world she’s about to discover while the other is worrying that the world we live in won’t exist in the future – their back-and-forth reminds us of the importance of listening to opposing perspectives. Some might look at it as director Wim Wenders criticizing our current society of polarizing views. Either side doesn’t want to listen to each other. 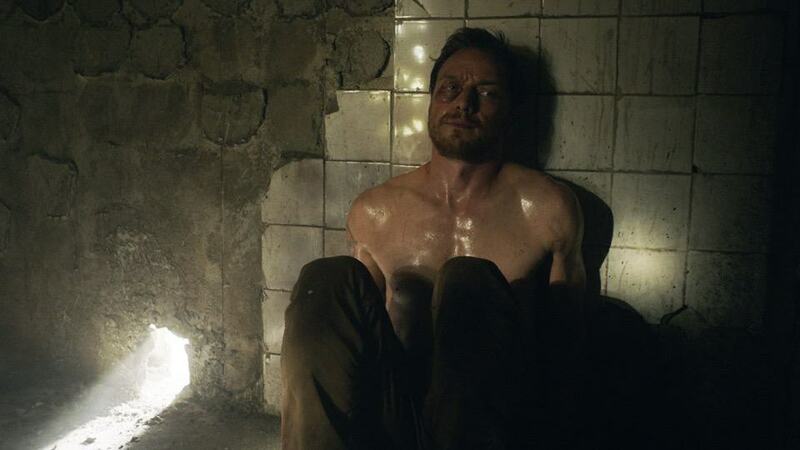 The ideological theme becomes more apparent when James flies to Africa in hopes of stopping the terrorists responsible for the film’s recent bombing in Europe. 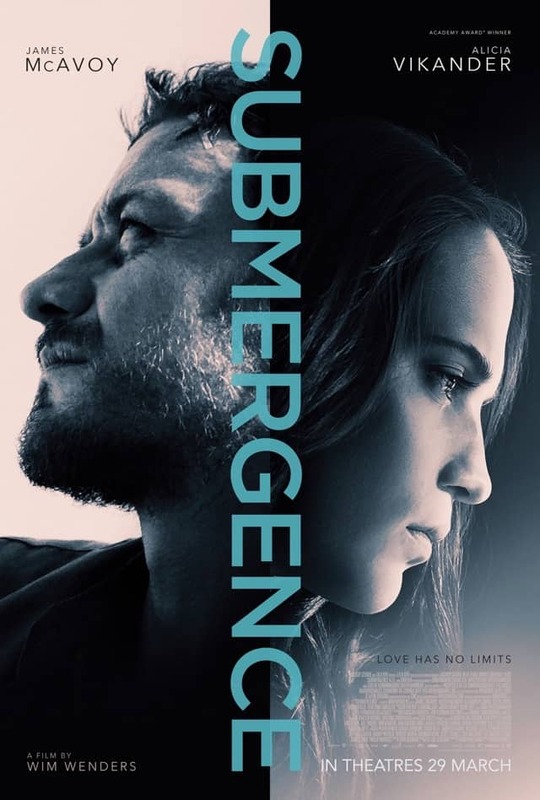 Alas, that’s also where the film loses its audience – is Submergence a love story or some political movie trying to portray the terrorists’ side convincingly? Perhaps the ambitious use of metaphors and allegories made the movie confusing or too “artistic” for the general audience. It doesn’t help that the plot unravels ever so slowly, making the “thriller” genre label questionable. Even the little suspense that certain shots created was quickly normalized by the pacing and storytelling. Undoubtedly, the technical aspects of Submergence should be lauded. Wenders and his crew – particularly the sound and cinematography teams – created some set pieces that stand out despite the murky plot. It’s refreshing to see Vikander in her usual feminine role before the recent Tomb Raider, but not even her alluring voice and performance can support the film, unfortunately. Summary: Stunning visuals, astounding scores, and flawless performances can’t compensate for an overly ambitious film trying to mix a love story with terrorism and oceanography.